Image: Jonathon Ziegler/Patrick McMullan via Getty Images, Cindy Ord/Getty Images for Brooklyn Academy of Music. 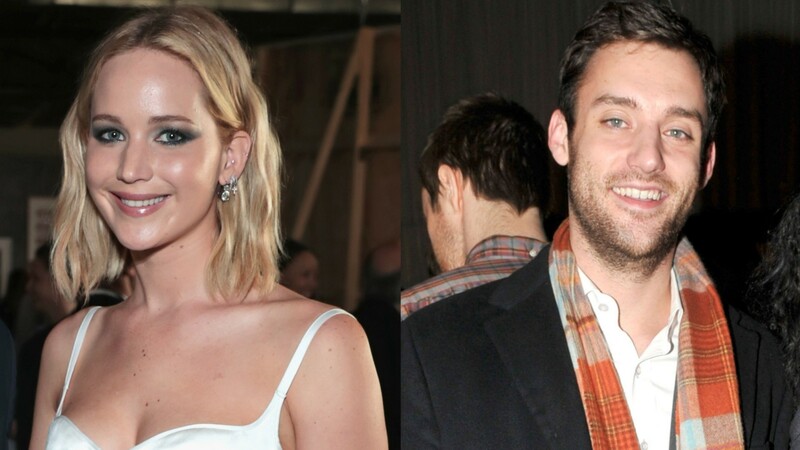 On Wednesday morning, the world learned that less than a year after going public with their relationship, Jennifer Lawrence and Cooke Maroney are engaged. With no statement from Lawrence or Maroney on the engagement and just a confirmation from Lawrence’s reps that the engagement is real, we’re all very curious to know more about the details. We’re also curious to know, just who is Cooke Maroney, Jennifer Lawrence’s fiancé? Until we get answers to questions like how Maroney proposed or what the couple’s wedding plans are, we’ve rounded up what little information about Maroney we could find floating around. Keep reading to get the 411 on the future Mr. Jennifer Lawrence. According to E! News, Maroney began his career working at the Gagosian Gallery before moving more into art dealing at his present place of work, gallery Gladstone 64. Some of his more notable past clients include Lena Dunham’s father, artist Carroll Dunham, Anish Kapoor and Bjork’s ex, Matthew Barney. E! News also details how Lawrence and Maroney met. According to the outlet, Lawrence’s lifelong best friend, Laura Simpson, introduced the pair, although it’s unclear when despite outlets like Page Six among the first to report on Lawrence and Maroney’s then-budding romance back in June 2018. We’re also not sure how Simpson and Maroney met but we’re glad they did, otherwise, this love story wouldn’t be happening! We’re gonna go out on a limb here and say Maroney is into sports, even if its just watching them and even if it’s just limited to ice hockey. How do we know? Well, he and Lawrence were spotted in November at a Buffalo Sabers – New York Rangers game smooching the time away instead of watching what was happening on the ice. TBH, that’s how we prefer to watch sports, too. The Cut also notes in their write-up about Maroney that he graduated from NYU with a degree in art history. Naturally, this feels like the perfect foundation for the kind of work Maroney is doing nowadays. OK, take this with a grain of salt but we can’t stop thinking about this fact: Apparently, Maroney loves the Liam Neeson action franchise Taken, per a source speaking to The Cut. Apparently, Maroney loves the films so much he went to see Taken 3 on opening day. Now that’s dedication.